Part of the Tether Noachis Terra 2018 collection, the Naica design is available in solid stainless steel, gold plated stainless steel, or high quality PVD plated black stainless steel. More septum clickers are available here! 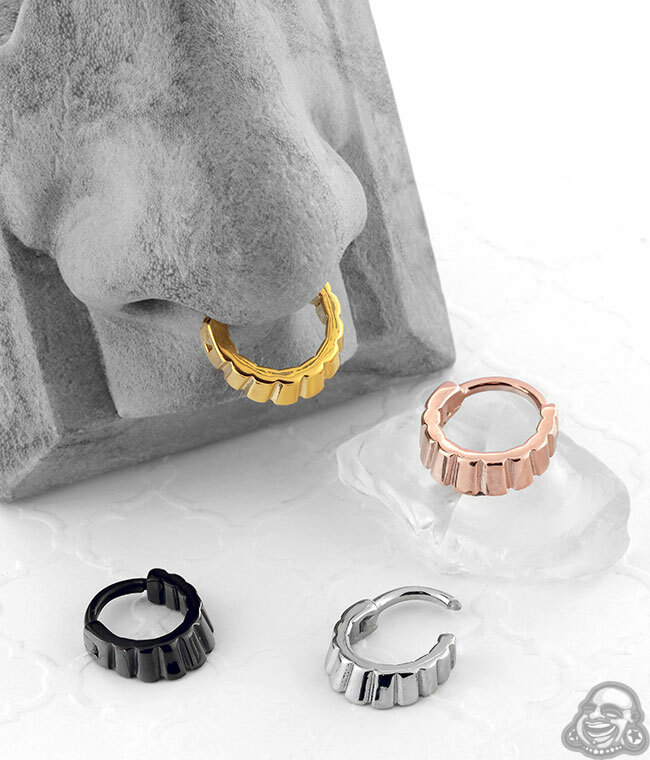 More septum pieces made by Tether Jewelry can be found here! Septum jewelry is measured by the diameter straight across the center of a ring. How far it sits below your nose will be dependant on where you're pierced. We've given an example below of a septum that's pierced a bit lower (see the side shot) and how it will look with different diameters. The general rule is, the smaller the diameter the tighter the fit.